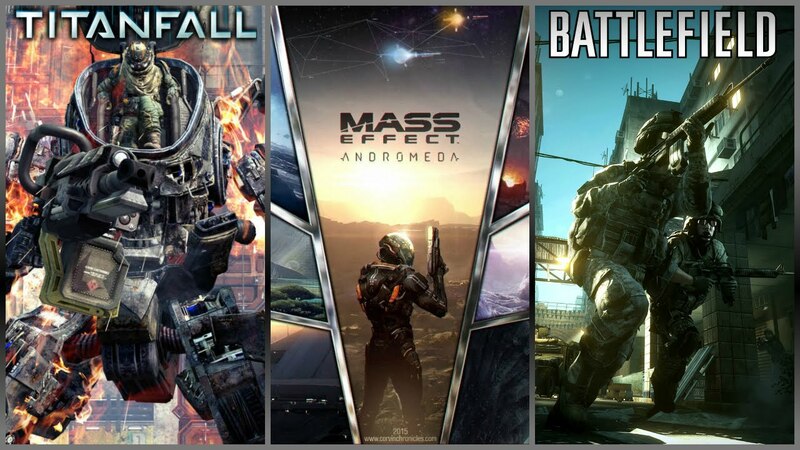 Titanfall 2 and the next Battlefield, for now named Battlefield 5, will both be releasing this year, while Mass Effect Andromeda has been delayed to the 1st quarter of 2017. EA’s chief financial officer, Blake Jorgensen, said as much yesterday during the Media & Telecom Conference at Morgan Stanley Technology. We already heard rumors about EA delaying Andromeda to the companies’ 4th quarter their fiscal year (which ends on March 31, 2017). Both Battlefield 5 and Titanfall 2 will be released in the 3rd quarter of EA’s current fiscal year, implying that both action games will be out between September 30 and December 31. A month ago, EA’s CEO Andrew Wilson already teased that the next Titanfall is looking “fantastic”. “What I would say, having seen the game, is it’s looking fantastic. Our relationship with Respawn is extremely strong; we have great faith in that entire team to build a spectacular game and are really looking forward to sharing more details in the months ahead”, Wilson said during EA’s earnings call for the 3rd quarter of their fiscal year 2016. While not officially confirmed, Battlefield 5 might well be developed by EA Dice’s LA studio.